In vocal works and in the two premiered operas "CELAN" and "HÖLDERLIN" Peter Ruzicka has often turned to personalities of literature who were essential to him. Now he has completed a third opera entitled "BENJAMIN", which again deals with a figure of literature and philosophy: Walter Benjamin, the great German philosopher, cultural critic and translator of the works of Balzac, Baudelaire and Marcel Proust and creator of the groundbreaking "passage work" for the modern age. Shortly before the 70th birthday of Peter Ruzicka on 3 July 2018, the new opera will be premiered on 3 June 2018 at the Hamburg State Opera. Sikorski publishers: Why did you choose Walter Benjamin as the subject and how could you describe the dramaturgy of your opera? Peter Ruzicka: BENJAMIN is less a music theater "about" or "with" Benjamin, but "due to Benjamin," this Ahasver, whose restless traveling on the run from the National Socialists in the opera itself should sound. 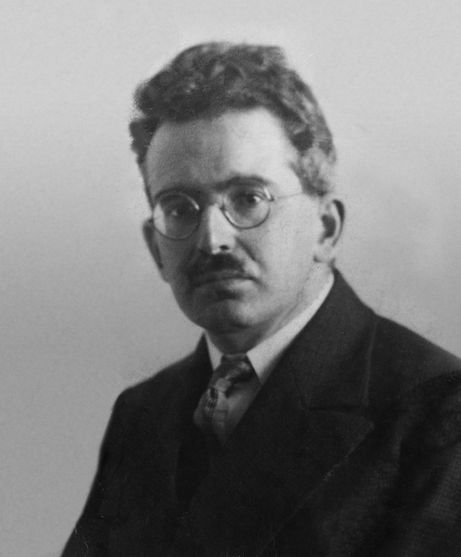 One will be able to trace the score of the hermetic-mystical depth of many of his texts, of the discontinuity of his thinking, but also of the depressed and lonely Walter Benjamin. A story of the human W.B. so, yet anti-narrative. This too is a "journey into the interior". There are seven stations in Yona Kim's wonderful libretto. These are "forest scenes", which are in reality one single "disreputable site" over which there is a star. The briefcase preserving a mysterious document in the rank of an attribute of the protagonist at the beginning and at the end - oppressive and moving at the same time. The mutation of the forest to the book forest and the detention camp, the ship to the nursery and the sea noise to metropolitan noise - transformations, which together with the adaptation of the song of the "Bucklight Männlein" by stooping and ever more intensively whispering deported children create an oppressive ambience. In the ensemble of six persons, who reflect contemporaries of Walter Benjamin, the cracks and cracks, but also the failed rescue attempts of a painful biography seem to me to be "personified". Sikorski Verlage: How does your opera BENJAMIN relate structurally and musically to the earlier operas CELAN and HÖLDERLIN with their references to certain figures in the history of literature and philosophy? Peter Ruzicka: The operas make a kind of triptych in their multiple interrelations. Celan, like Benjamin, looked back on the turning-away angel of history and described the wounds of the twentieth century. Benjamin was a sensitive Hölderlin exegete, as was Celan, on whose death the Hölderlin biography of Michel was pitched on the bed. Musically, in BENJAMIN there are moments of "overpainting" of earlier textures, where the historical subjects touch. Benjamin, Celan and Hölderlin have become triangulation points in my thinking. Sikorski publishers: Especially Benjamin and his "Passage work" are a complex template. How much prior knowledge do you expect from your audience to follow the course of the piece? Peter Ruzicka: Music theater can not describe historical philosophical positions directly. But Benjamin's encounters with Hannah Arendt, Gershom Sholem or Bertolt Brecht, for example, may reflect the empathic power of his thought, his "knowing" worldview. It is close to Wagner's statement that we must become knowers through the feeling: that is how it is, when the feeling has told us, that's the way it must be! Benjamin's life affects us and affects us! Sikorski publishers: With their operas, certain forebodings have been announced in previous works. In which pieces is this the case with respect to BENJAMIN? Peter Ruzicka: The score of the opera is very symphonic, with orchestral interludes that imagine the "travels" of Benjamin. I composed these interludes in advance and assembled FLIGHT in an orchestral piece. I believe that this reflects a certain "natural sound" of the opera, which is darker and deeper staggered than was the case with CELAN and HÖLDERLIN.